Lowdown: New baddies force Bruce Wayne to put on the cape again. Events have transpired to give The Dark Knight Rises historical importance. I, however, fully know by now that I am no fan of Christopher Nolan; I took my time watching his latest effort. Indeed, I was proven right: I will remember his third and final (?) 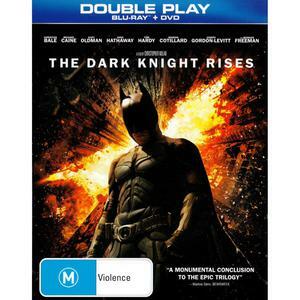 Batman, sequel to Batman Begins and The Dark Knight for reasons that do not have much with the movie itself. I will start with the film, which I have enjoyed but - as per my usual Nolan experience - felt bloated and too in love with itself. The Dark Knight returns to Bruce Wayne (Christian Bale) several years after the former episode. Without much of a reminder to what took place in that former episode, we are told Batman had since retired. However, Wayne is not in the clear: a mysterious woman, Catwoman (Anne Hathaway), collaborates with even more mysterious baddies to strip Wayne of all his fortunes. Even his loyal servant Alfred (Michael Cain) leaves him. And in parallel, the new baddies cease control over Gotham City (played by New York) and look like they are going to wipe it out with the aid of makeshift nuclear weapons. Not, however, if Batman can rise again from his all time low and re-find his passion. Thus Nolan finds ample ground for his usual theological like ponderings. These are probably more relevant to Americans than the rest of us, as the discussion on who the real terrorist is when the law enforcement agencies themselves blatantly fail to supply justice is portrayed in very American terms. Alas, the discussion, as interesting as it is, is far too long for its own good. Don't get me wrong, though: whatever remains of this film is quite thrilling and exciting enough to create an enjoyable watch. It even provides nice closure to the trilogy, or rather as nice a closure as can be achieved. It's just that, again, I simply do not like Nolan's style enough to truly feel blessed by his work. When all is said and done, The Dark Knight Rises is a film I am going to remember for completely different reasons. We watched this film off a rented Blu-ray, and as impressive as its quality was that disc we rented had some scratches I could not wipe clean. Repeatedly we had to suffer from mysterious pauses and skipping that worked their way to totally ruin the flow of the film and our overall experience. Now you could say "bad luck" and dismiss it all; I, however, will argue that this came as a timely reminder for the death of the consumption of media through plastic discs. Sure, Blu-rays are able to supply much better quality than the Internet can; but what good is that quality if it is unreliable? What good is that quality if it forces me to plan my movie watching days ahead instead of watch whatever I want whenever I want? And more importantly, why can't the movie studios let me watch the film off the Internet? Plastic media is dead for me, killed off by a Dark Knight. Overall: Poor personal experience aside, The Dark Knight Rises gets 3 out of 5 stars from me. don't you have some friends to leave comments?